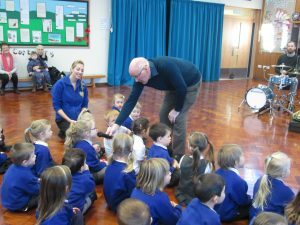 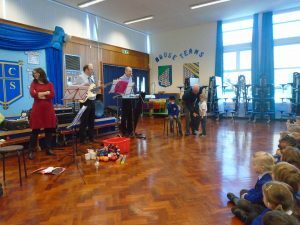 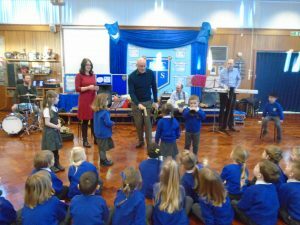 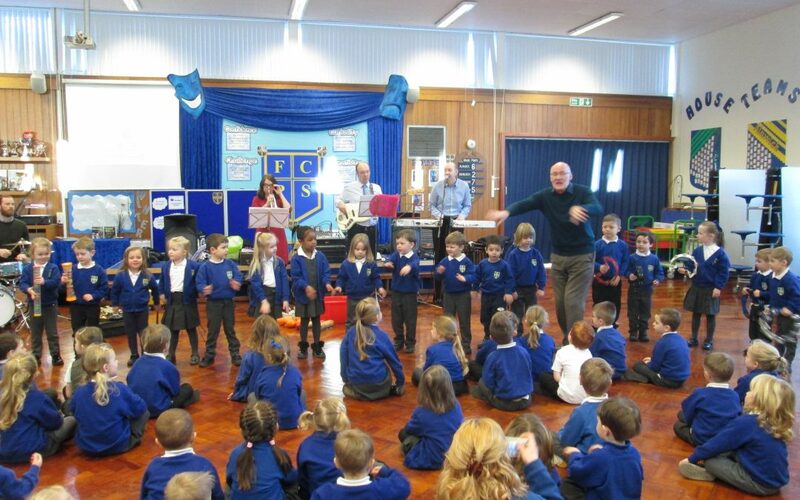 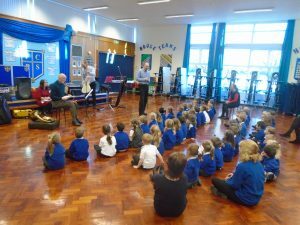 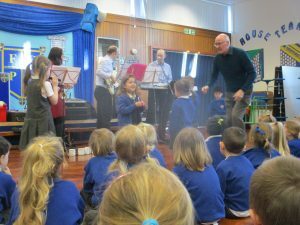 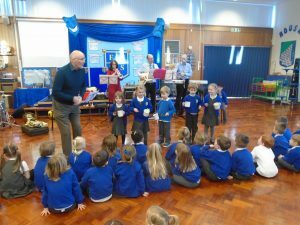 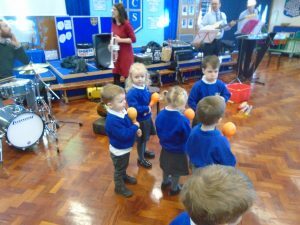 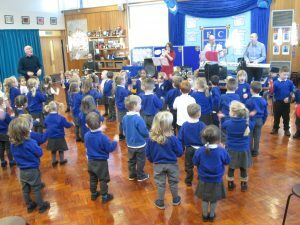 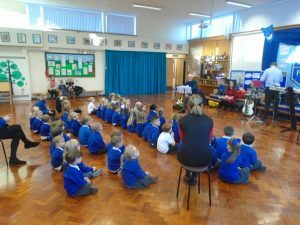 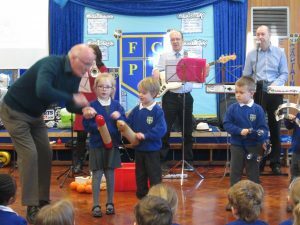 Musicians from Gateshead Music Service provided our Early Years children with a morning of musical fun! 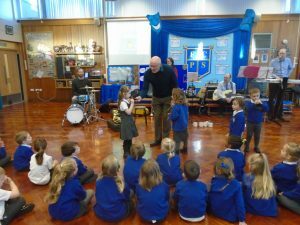 The music and songs were based on the story ‘Mr Big’ by Ed Vere. 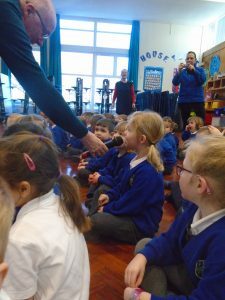 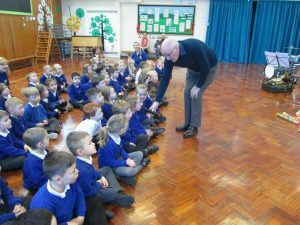 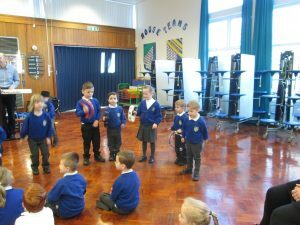 The children loved participating in this workshop and pretended to make sounds from the story. 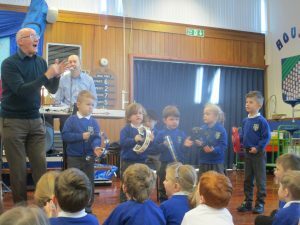 It was a fantastic opportunity for them to listen to a range of instruments played by musicians from our region. 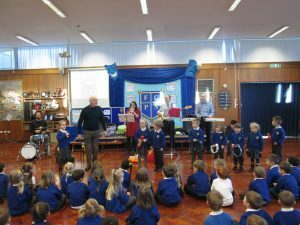 This has inspired us to create our own bands using a range of everyday objects in our play. 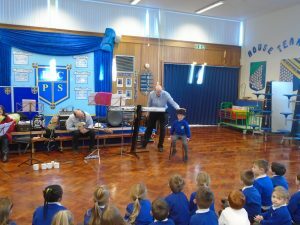 This music workshop was fantastic. 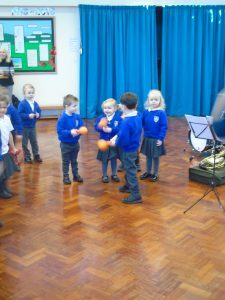 All the children seemed to have a great time. 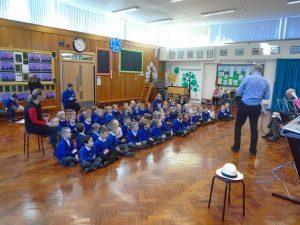 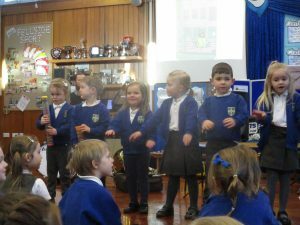 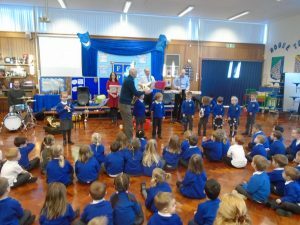 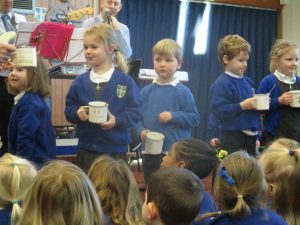 It was lovely that they could all join in and play instruments etc. 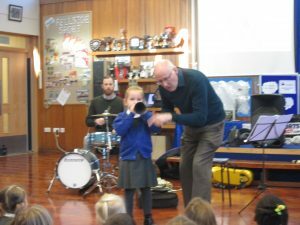 There was even a solo performance from a little girl in Nursery which I think brought a tear to everyone’s eyes. 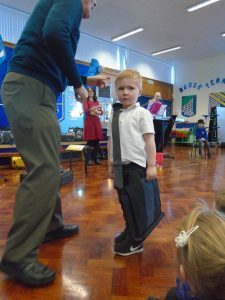 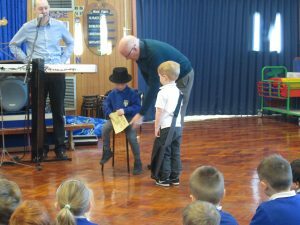 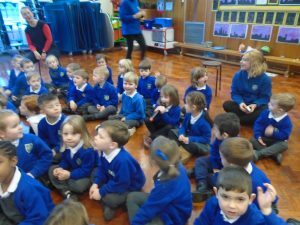 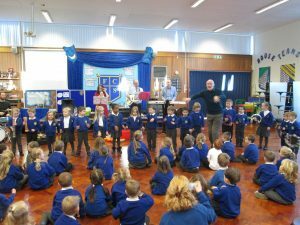 Well done to everyone in Nursery and Reception.